Style Number - CBB146A total of 24 oval cut blue sapphire colored gemstones are accented by 50 brilliant cut-round diamonds in this unique tennis bracelet. The 5x3mm oval cut gemstone sapphires are natural and genuine. 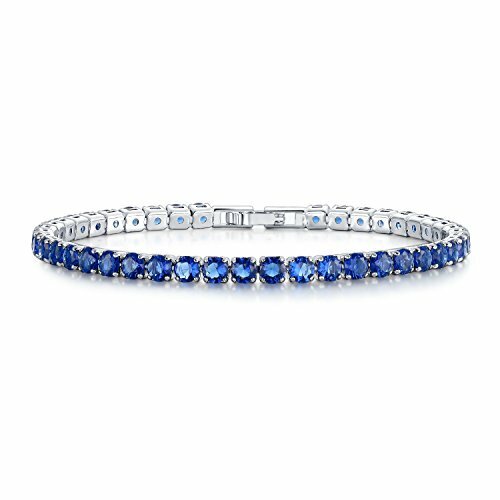 The near colorless diamonds are of G-H Color, SI Clarity.The blue sapphire September Birthstone gems and the diamonds that accent it are set in a 14kt White Gold prongs setting.This fancy contemporary sapphire bracelet is available in other gemstones. 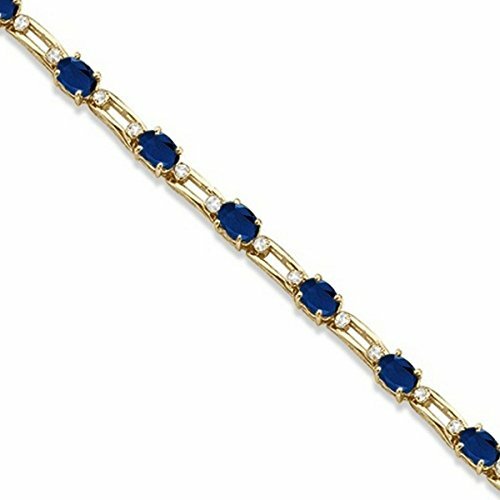 Style Number - CBB87This contemporary 14K yellow gold link bracelet showcases eleven 6x4mm natural and genuine blue sapphires accented by 22 brilliant cut round near-colorless diamonds of G-H Color and SI Clarity. The colored gemstones and shiny diamonds are beautifully set in a classic prong setting.This modern September birthstone bracelet would make the perfect gift. 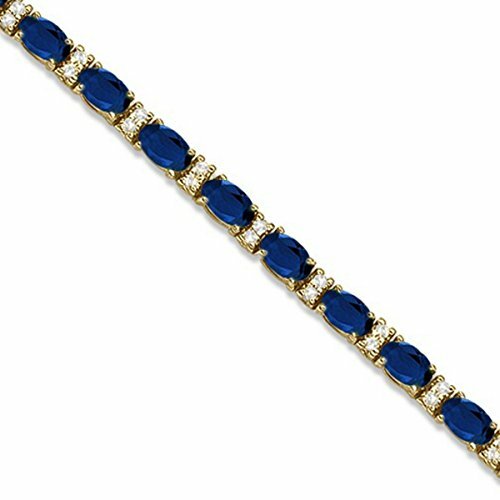 Style Number - CBB153This fancy and unique 14kt yellow gold designer link blue sapphire bracelet showcases 12 oval shaped sapphires that are accented by 24 brilliant cut round diamonds. The featured 6x4mm colored precious gemstones are genuine and natural. 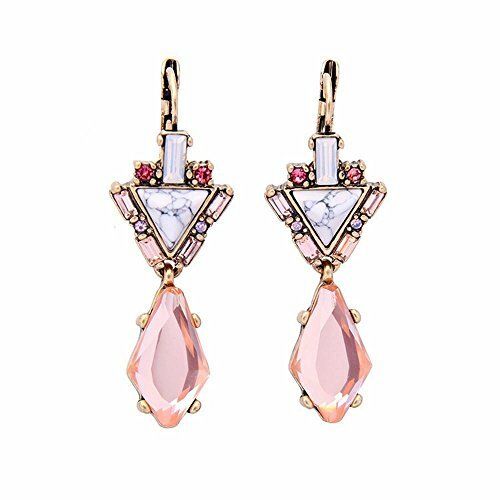 The bright clear diamonds are of G-H Color, SI Clarity.These September Birthstone colored gems and white diamonds are set in a prong setting. Style Number - CBB147A total of 24 oval cut blue sapphire colored gemstones are accented by 50 brilliant cut-round diamonds in this unique tennis bracelet. The 5x3mm oval cut gemstone sapphires are natural and genuine. 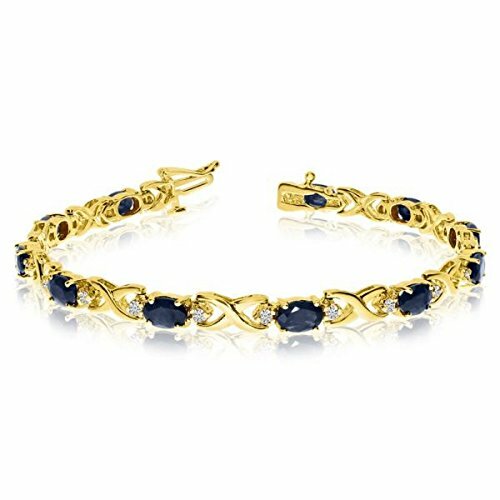 The near colorless diamonds are of G-H Color, SI Clarity.The blue sapphire September Birthstone gems and the diamonds that accent it are set in a 14kt Yellow Gold prongs setting.This fancy contemporary sapphire bracelet is available in other gemstones. Style Number - CBB86This contemporary 14K white gold link bracelet showcases eleven 6x4mm natural and genuine blue sapphires accented by 22 brilliant cut round near-colorless diamonds of G-H Color and SI Clarity. The colored gemstones and shiny diamonds are beautifully set in a classic prong setting.This modern September birthstone bracelet would make the perfect gift. Style Number - CBB152This fancy and unique 14kt white gold designer link blue sapphire bracelet showcases 12 oval shaped sapphires that are accented by 24 brilliant cut round diamonds. The featured 6x4mm colored precious gemstones are genuine and natural. 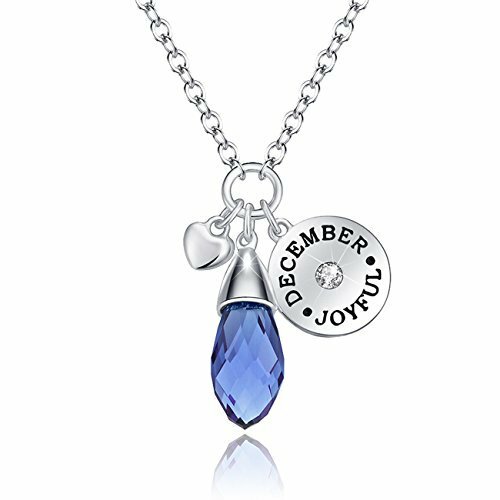 The bright clear diamonds are of G-H Color, SI Clarity.These September Birthstone colored gems and white diamonds are set in a prong setting. GREAT MATERIAL、UNIQUE DESIGN 、IDEAL ACCESSORY、PERFECT GIFTSimple Design, Delicate Look, The Gold Plated Statement Hoop Earrings Match With All Kinds Of Apparel, A Nice Jewelry For Either Daily Wear Or Any Special Occasion, Such As Wedding, Party, Prom, Ball, Etc.The Gold Plated Statement Hoop Earrings Can Be Either A Nice Treat To Yourself Or An Ideal Gift For Mom, Daughter, Sister, Friend, Girlfriend, Aunt, Or Any One You Love On Christmas Day, Thanksgiving Day, Mother'S Day, New Year'S Day, Valentine'S Day, Anniversary, Or Her Birthday.Nickel-free, Lead-free, Cadmium Free and Hypoallergenic, Long Wearing To Keep You Healthy.Care for The Jewelry: Keep it dry and avoid chemicals; Avoid being struck; Clean and wipe with dry soft cloth; Store the jewelry inside a soft cloth pocket.Earrings are indispensable jewelry, it show the personal style of clothing accessories, there will be an unexpected effect. Looking for more Colored Sapphire Diamond Bracelet similar ideas? Try to explore these searches: Cometic Complete Gasket Set, Canon 100 400 Review, and 5 Column Individual Bottle Rack. Look at latest related video about Colored Sapphire Diamond Bracelet. Shopwizion.com is the smartest way for online shopping: compare prices of leading online shops for best deals around the web. Don't miss TOP Colored Sapphire Diamond Bracelet deals, updated daily.